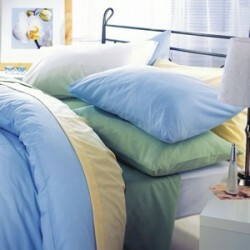 Fitted sheets in a range of fabrics and colours to fit European size mattresses. Ikea and european beds are slightly different in size than standard UK bed sizes. So finding bedding that fits properly can be a problem. We supply a wide range of fabrics and superior thread counts for European bed sizes so that your fitted sheets will fit perfectly. Our bedding is cut from the roll and made to order so your sheets will fit your European bed size regardles of length, width or depth. 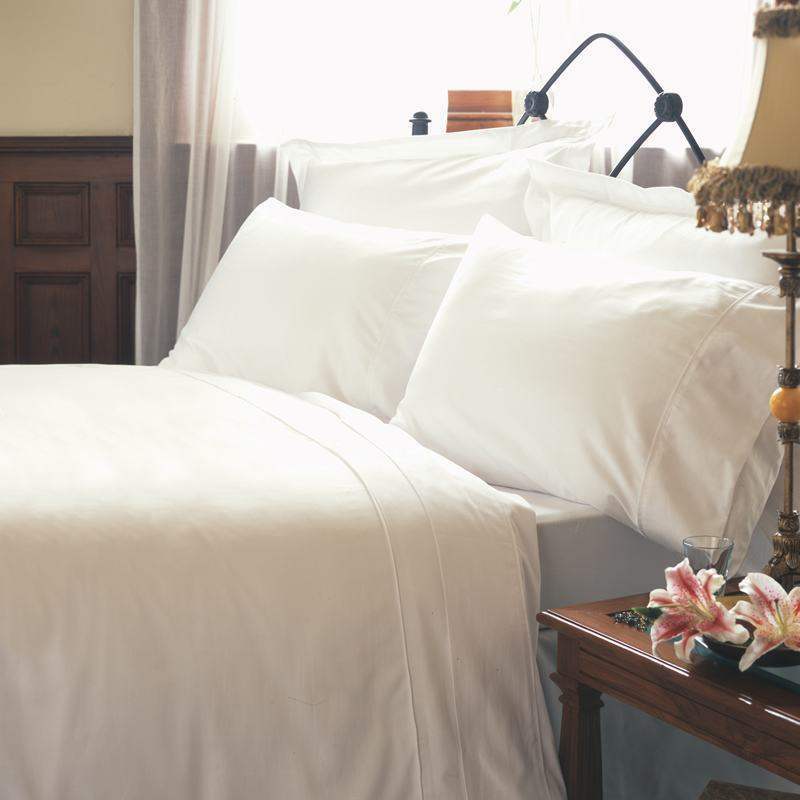 We only use luxury 200, 400 and 1000 thread counts, so your sheets will be not only soft and extremely durable. Fabrics samples are available, to recieve these or if you want to talk more about our European bedding range please call 01706 220020 or drop us an email. Metric Single Fitted Sheet in FlanneletteSheet in high quality 100% Brushed Cotton, 200 Thread Count..
European Double Fitted Sheet Fitted sheet in 100% Cotton to fit 140 x 200cm bedsEuropean double are ..
European / Ikea Double Fitted Sheet in 100% Cotton FlanneletteSoft, Warm Fitted sheet to fit 140 x 2..
European King Fitted Sheet Fitted sheet in 140 Count Cotton to fit 160 x 200cm beds160 x 200cm beds ..
European / Ikea King Size Fitted Sheet Fitted sheet to fit 160 x 200cm bedsThe european king size is..
European King Size Fitted Sheet in 100% Brushed Cotton FlanneletteFitted sheet in luxury 200 thread ..
European Super King Fitted Sheet Fitted sheet in 50/50 Poly Cotton to fit 180 x 200cm bedsEuropean k..
Euro Small Single Fitted Sheet Fitted sheet to fit 80 x 200cm bedsA bed size that is usually found i..
European Small Single Cotton Fitted Sheet Fitted sheet in luxury 1000 Thread Cotton, to fit 80 x 200..
European Small Single Fitted Sheet Fitted sheet in 100% Cotton to fit 80 x 200cm bedsA bed size that..
Euro Small Single Fitted Sheet Fitted sheet in 50/50 Poly Cotton to fit 80 x 200cm bedsEuropean smal..